Amazon Chief Executive Officers, CEO, Jeff Bezos is now the richest person in the world for the second time. Amazon stock opened up more than 8% higher than Thursday?s close, adding nearly $7 billion to Bezos? net worth overnight. 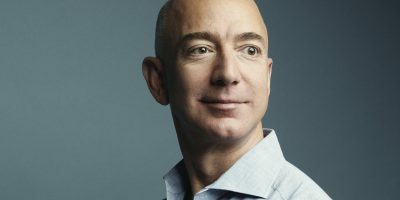 According Forbes, Bezos had a net worth of $89.7 billion, as of the start of trading on Friday. Bill Gates has a net worth of $90.1 billion, up $550 million from yesterday. Then by 10:15 a.m. by Friday, Amazon stock had climbed nearly 2% since the market opened, adding $900 million to Bezos? net worth and putting him in the No. 1 spot with a net worth of $90.6 billion versus Gates? $90.1 billion at that time. Amazon stock surged in after-hours trading on Thursday after the company reported strong third quarter earnings. Amazon reported $43.7 billion in revenue, well above the $42.1 billion analysts expected. Bezos became the richest person in the world for the first time three months ago as Amazon stock hit an all-time high on July 27, just before Amazon reported its second quarter earnings. But Bezos? first time at the top of Forbes? Real-Time Billionaires List only lasted a few hours. Bezos first joined the Forbes 400 in 1998, one year after Amazon went public, with a net worth of $1.6 billion.